According to a post on Facebook a drunk passenger went overboard on September 7th from a Carnival cruise ship. A male passenger onboard the Carnival Breeze became so intoxicated that according to a post on Facebook he jumped overboard. According to one of our sources working onboard the Carnival ship it happened at around 6 p.m. on the ship’s first sea day. The good news is that the man was rescued by the ship’s crew. He was drunk at 8am, walking in and out the pool fully dressed with regular clothes on. The,security MADE him ,/ personally took him to the room to go to sleep. Hours later he jumped overboard. Just crazy! Thank God someone onboard threw a life jacket over and after the ship turned around he was spotted by the flashing lights on it. This is the reason cruise lines have a limit on how much alcohol guests can order at the bar. In many cases onboard Carnival ships the bartender or bar staff manager can cut off the passenger if needed. In this case the man was totally intoxicated and had to be taken back to his cabin by ship security. 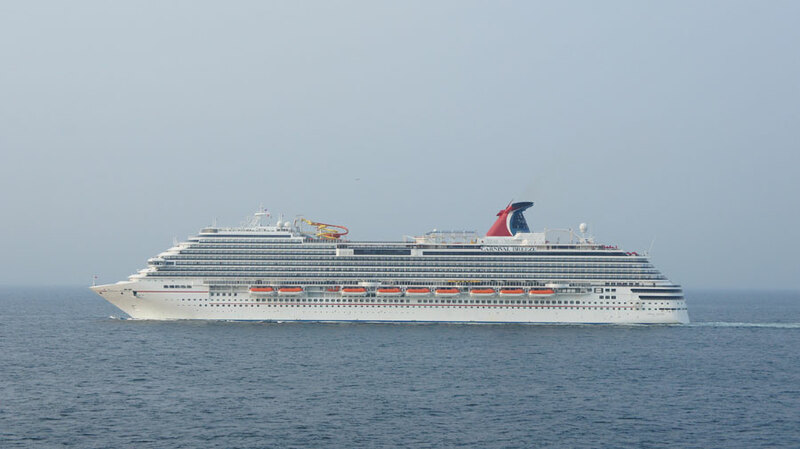 According to a crew member onboard the Carnival Breeze the passenger and his family “disembarked in Montego bay the next morning.” The crew member also posted that the man jumped from deck 2 with a life jacket on. The rescue from overboard on the Carnival Breeze! God is real! Carnival Breeze on a six-day western Caribbean cruise that departed Miami, Florida on September 6th. The ship called at Montego Bay, Jamaica the day after the passenger went overboard. The 3,645 passenger Carnival Breeze is expected back in Miami on September 12th. Have you ever seen any drunk people during your cruise? What do you think? Let us know in the comments below.